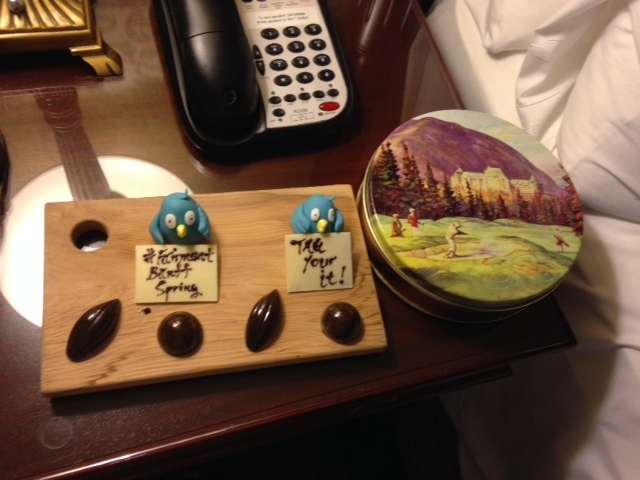 Fairmont Banff Springs – the start to a great vacation! Over a week a go I flew west with my dad (well not exactly with my dad. we took separate flights since he has Air Miles and I have Aeroplan) to start our “Go West” adventure that was a gift for his birthday. We had two nights in Banff before boarding the Rocky Mountaineer – watch for a subsequent post on the train portion of the vacation. What an amazing and magical place to stay! 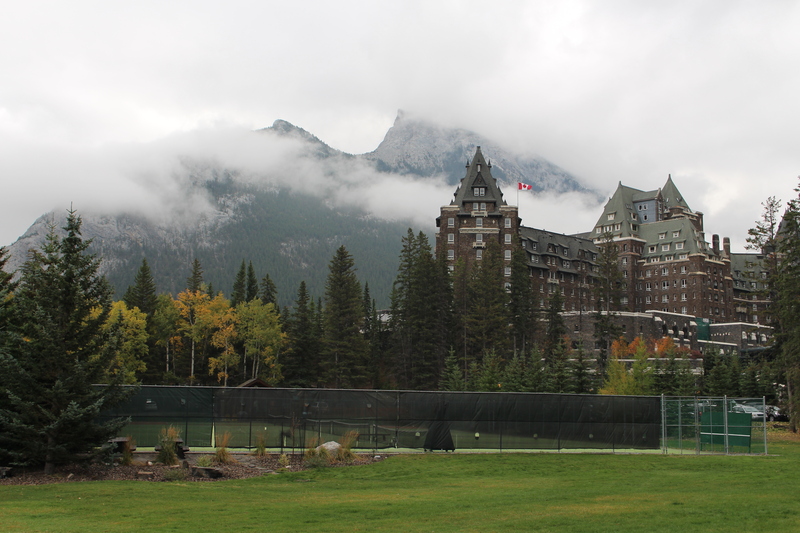 Banff Springs opened over 125 years ago in 1888 and has obviously been well maintained and renovated over the decades. The hotel is situated in a national park right near the Bow River. It is smack in the middle of nature! We actually saw a pair of elk grazing on a hill right next to the hotel! Hotel lobby taken from the cafe. Every nook and cranny of the hotel has something marvellous to see. I am going to share some of the pictures I took during our stay (over 700 were taken in the 5 days I was away) to give you a glimpse of this stunning hotel. 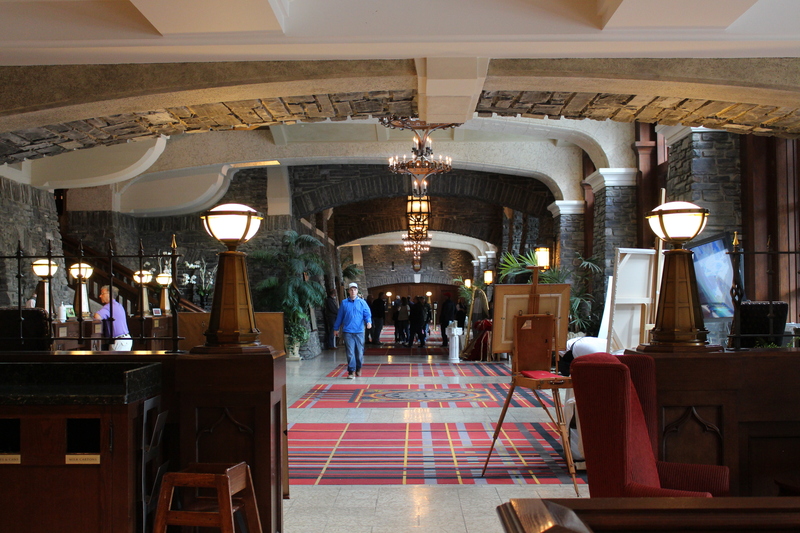 Everything is perfect at theFairmont Banff Springs. I had a chance to check out the spa (that review is to come) and on the second night the outdoor pool which is heated to make it comfortable in the chilly mountain evening air. I was even left a welcome treat that first night. I’m already planning a ski trip back to Banff for 2016 with stops in Jasper and Lake Louise. The one regret of this trip was not getting to Lake Louise on the full day we had in Banff so I have no choice but to head back! 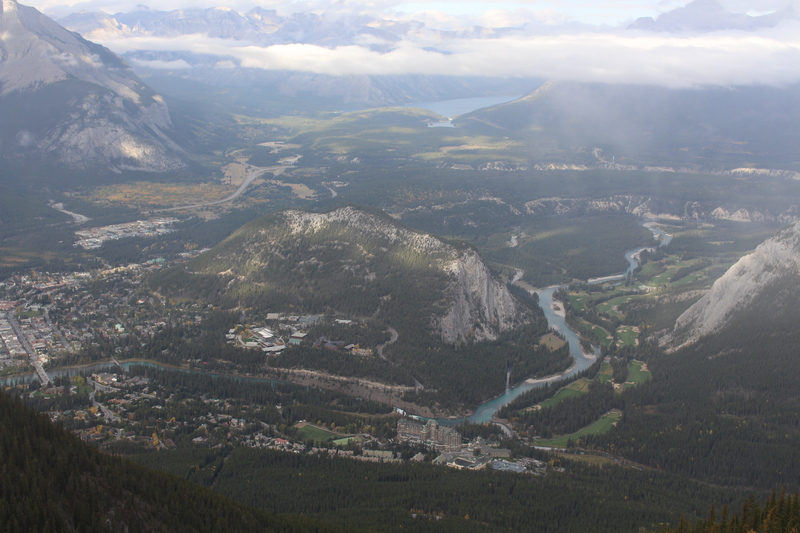 View from the top of the gondola – Can you spot the hotel?